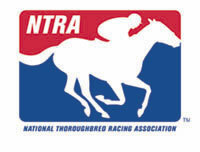 The National Thoroughbred Racing Association (NTRA) announced on October 21 that Budget Rent A Car, Century 21 Real Estate Corporation and the Days Inn hotel chain have reached an agreement to become Official Partners of the National Thoroughbred Racing Association (NTRA) and Official Partners of the Breeders’ Cup World Thoroughbred Championships. As part of the agreement, Budget Rent A Car, Century 21 and the Days Inn chain will receive advertising units in an assortment of NTRA/Breeders’ Cup media, including television spots on the NBC telecast of the Breeders’ Cup World Thoroughbred Championships (1:00-6:00 p.m. ET). The brands will also receive signage rights and hospitality at various Thoroughbred events, including the Breeders’ Cup. Budget Rent A Car System, Inc. is the owner and franchiser of one of the world's best-known car rental brands with nearly 2,000 car rental locations in the U.S., Canada, Latin America, Caribbean, Australia and New Zealand. The company is part of Cendant Car Rental Group, a wholly owned subsidiary of Cendant Corporation (NYSE: CD), a diversified global provider of business and consumer services primarily within the travel and real estate sectors. For more information, visit www.budget.com or www.cendant.com/media. Century 21 Real Estate Corporation (www.century21.com) is the franchisor of the world's largest residential real estate sales organization, providing comprehensive training, management; administrative and marketing support for the CENTURY 21 System. The System is comprised of more than 6,800 independently owned and operated franchised broker offices in more than 38 countries and territories worldwide. Century 21 Real Estate Corporation is a subsidiary of Cendant Corporation (NYSE: CD). For more information on Cendant's Real Estate Services Division as well as expert commentary on emerging trends in the real estate industry, visit the Cendant Media Resource Center at www.cendant.com/media. Days Inns Worldwide Inc., a subsidiary of Cendant Corporation (NYSE: CD), franchises 1,890 hotels representing 156,506 rooms in the United States, Argentina, Canada, China, Egypt, India, Ireland, Italy, Jordan, Mexico, Philippines, South Africa, United Kingdom, Uruguay and the Commonwealth of Puerto Rico. Reservations and further information are available at www.daysinn.com or by calling (800)-DAYS-INN®.